Anne-Sophie Mutter On The Late Show with David Letterman Tomorrow! On Friday, September 30th, internationally renowned, four-time Grammy® Award winning violinist Anne-Sophie Mutter will be the musical guest on the Late Show with David Letterman on CBS. Together with Sir André Previn at the piano, Mutter will perform "It Ain't Necessarily So" from Gershwin's beloved Porgy and Bess from the recent release ASM35: The Complete Musician Highlights , celebrating her extraordinary 35 year career. and Friday, October 21, at 1:30 p.m., with an Open Rehearsal Thursday, October 20, at 10:30 a.m.The Symphony Hall performances October 20-22 mark the return of two familiar BSO guests as eminent German conductor Kurt Masur takes the podium for his first of two programs with the orchestra this season. (He leads Beethoven’s Missa Solemnis in February.) Opening this all-Brahms program is the Third Symphony—the most concise and classically reserved of the composer’s four—written in 1883 when Brahms was 50 years old and firmly established as a master. After intermission, always-impressive Russian-born American pianist Yefim Bronfman joins Maestro Masur and the orchestra for the expansive and brilliant four-movement Piano Concerto No. 2. Exciting look at musicians, Powell Hall and the concert experience is available to view on-line The St. Louis Symphony is pleased to present a new promotional video designed to tell the St. Louis Symphony story and build excitement for the upcoming 2011-2012 season. Featuring Music Director David Robertson, Concertmaster David Halen and other STL Symphony musicians, the “brandumentary” communicates the power and accessibility of live music at Powell Hall. Captured during the STL Symphony’s performances of Carmina Burana in May 2011, the brandumentary and its accompanying videos are now available to view on-line at www.stlsymphony.org/story After watching the brandumentary in its entirety, viewers will receive a special 2-for-1 ticket offer. The videos were produced by UPBrand Collaborative, a St. Louis-based branding and creative firm. Photography was captured by Rob Durbin with sound/video editing by 90 Degrees West. Meerenai Engages the Listener with Pure Flute Technique and Sound on her Debut Album Flutes are delightfully simple, yet incredibly complex instruments. When you look at the wave form, the sound of the flute is pure and clean. The emotional range and technical possibilities of the instrument are astonishingly diverse. 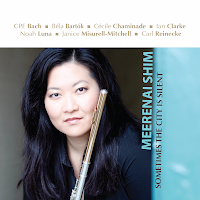 Meerenai's new CD Sometimes the City is Silent seizes all these subtleties, yet proffers them in such a splendidly pure way, we are intrigued by the flute with all of its complexity without being immersed in an overly effected recording. Launch Coincides with Broadcast of NY Phil’s Season-Opening Concert Tonight Classical 105.9 FM WQXR, the nation’s most listened-to classical music station, extends its reach even further with the launch of a new mobile app, available today. This technological advance will give listeners a new way to tune in to the station’s vibrant music programming as well as granting access to WQXR’s wealth of digital-only features. In keeping with the station’s programming hallmark of broadcasting and streaming live from New York City’s concert halls and performance spaces, the app debut coincides with the station’s live broadcast of tonight’s season-opening concert by the New York Philharmonic. Lastest single "Let it Rain" is in the top 20David Nail performs with the Colorado Symphony on October 8th. Growing up in a small southeastern Missouri town, it was music that called David Nail’s name. His baseball coach said, ‘David, you need to decide where you’re going to school,’ and out of the blue David said, ‘Do you know anybody in Nashville?’” The rest is history. The recent Grammy® nominee for Best Male Vocal Country Performance for his hit “Turning Home” will make his first orchestral appearance with the Colorado Symphony. This is history in the making. Having commissioned the world's first Mariachi opera and premiered the work to great acclaim last season, Houston Grand Opera crosses the Atlantic with its pioneering creation for season-opening performances September 23-27 at the illustrious Théâtre du Châtelet in Paris. Cruzar la Cara de la Luna (To Cross the Face of the Moon) features music by composer and writer José “Pepe” Martínez, with lyrics by Broadway director and author Leonard Foglia. To showcase the vibrant score–which ranges from plaintive, folk-like balladry to rousing Latin dance rhythms–a live recording from the Houston premiere of Cruzar la Cara de la Luna will be released on CD by Albany Records on October 1. This season features several new works by leading contemporary composers Alexander Raskatov, Matthias Pintscher, Kalevi Aho and our own Composer in Residence Julian Anderson. On 21 September the premieres begin with Alexander Raskatov's homage to Mussorgsky A White Night's Dream, a world premiere. Modest Mussorgsky created some of the most novel music of the nineteenth century. No painstaking craftsman, Mussorgsky wrote in fitful episodes of white-hot inspiration, exemplified by the hair-raising audio-cinematography of hisNight on a Bare Mountain. Here his works are placed alongside twentieth and twenty-first century creations that will reveal just how forward-looking Mussorgsky’s music was. To end there’s the chillingly vivid realm of Mussorgsky’s Songs and Dances of Death – a series of narrative songs shot through with deception and darkness, the composer’s myriad textures and creeping lines portraying a humanity confronted with the pitiful inevitability of life’s end. "A mix of seductive lyricism and awesome power." -- Chicago Sun-Times on René Pape's MéphistophélèsPeerless bass René Pape – honored last season as a “Mastersinger” by the Metropolitan Opera for such triumphs as his universally acclaimed Boris Godunov – launches his 2011-12 season on September 18, when he stars as Méphistophélès in the all-star David McVicar production of Gounod’s Faust at London’s Royal Opera House, Covent Garden. The Covent Garden Faust runs until October 10, with the September 28 performance to be beamed live into cinemas around the world. Already lauded in Europe as “unquestionably magnificent” (Guardian, UK), Pape’s latest Deutsche Grammophon solo album, titled Wagner Arias, will be released in the U.S. on October 4. And the German singer crosses the Atlantic to play the Devil again in another starry production of Faust, this time at the Metropolitan Opera, in the Des McAnuff staging that runs from November 29 to January 19. Cellist Matt Haimovitz and pianist Christopher O'Riley have made one of the year's true event recordings with Shuffle.Play.Listen, which blurs the often artificial, outmoded boundaries that divide classical and popular music. The double-album CD set will be released Sept. 27 by Oxingale Records, teaming the groundbreaking, Grammy-nominated Haimovitz with O'Riley (host of the popular NPR and PBS weekly program "From the Top"). Shuffle.Play.Listen juxtaposes 20th-century classics by Stravinsky, Janácek, Martinu, Piazzolla and Bernard Hermann with art-rock songs – by the likes of Radiohead and Arcade Fire – and the jazz-rock of John McLaughlin in boldly imaginative cello-piano arrangements by O'Riley. Classical music is so much more than dead white composers. 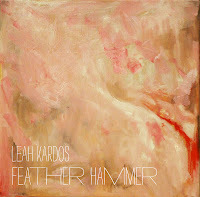 Leah Kardos is living proof of what it not only can be, it moves toward what is may be in the years ahead. The music is a mixture of styles and influences from Debussy to Tavener, Shostakovich to Bryars with pop elements from Bowie, Brian Eno and The Flaming Lips. From this rich tapestry we are given a sonic-scape that transports us into a distant world of colors, shapes and sounds like nothing I've heard before. At times the music is opaque and difficult to see clearly all that's happening, while at other times there is a clear lyric glide to the musical lines that float over the listener with utter beauty. The Cypress String Quartet (Cecily Ward, violin; Tom Stone, violin; Ethan Filner, viola; and Jennifer Kloetzel, cello) is pleased to announce the release of its latest recording, The American Album, featuring music inspired by America. The new album will be available from all major retailers on Tuesday, November 8, 2011, through the Cypress’ own label. The American Album includes Antonín Dvořák’s String Quartet No. 12 in F Major, Op. 96 (“American”), Charles Tomlinson Griffes’ Two Sketches Based on Indian Themes, and Samuel Barber’s String Quartet in B Minor, Op. 11. The London Symphony Orchestra celebrates Steve Reich’s 75th Birthday, performing two concerts in October. A chamber group made up of LSO players performs a selection of Reich’s works at LSO St Luke’s on 12 October. The UBS Soundscapes: Eclectica concert includes Reich’s seminal Different Trains which won a Grammy Award for best Contemporary Classical Composition in 1990, Music for Pieces of Wood, Nagoya Marimbas, Violin Phase and Sextet. UBS's support for the rich and diverse UBS Soundscapes: Eclectica series at LSO St Luke’s offers audiences the chance to experience world-class artists working at the cutting edge of contemporary style, crossing classical, jazz, folk, pop and world music. Over 100,000 people will have the unprecedented opportunity to experience internationally acclaimed pianist Lang Lang in a special event to be broadcast live to movie theaters across the country. Sony Classical is proud to announce that on Saturday, October 22, 2011, Lang Lang will celebrate Liszt’s 200th anniversary on his exact birthdate with a special, live concert featuring the Philadelphia Orchestra. A re-broadcast of the performance will take place on Monday, October 24th in select movie theaters. Event and ticketing information will be announced in September. Lang Lang, will perform Liszt’s famed Piano Concerto No. 1 with additional selections from Liszt’s well-known repertoire in conjunction with the Philadelphia Orchestra under the baton of Maestro Charles Dutoit. The performance will also feature unique footage from this summer‘s iTunes Festival in London, including behind the scenes interviews, commentary and exclusive musical performances. There is a current trend in thinking for some modern composers where live musicians are simply not capable of performing the music intricacy with the precision composers are putting into their music. Electro-acoustic music takes samples and distorts them in ways which are simply not possible during live performances. New Complexity provides music for live performers, but includes too much information for an actual performer to play live, so choices have to be made for performance. 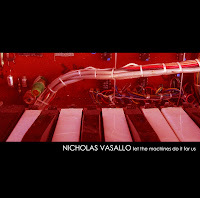 Nicholas Vasallo take a new direction, using machines to play organic instruments. Although the reasoning is similar to electro-acoustic music, the results are remarkably different. With electro-acoustic the sound can become less organic and highly effected, unnatural and at times (for me) video game-ish. Nick's music is alive and vibrant with the organic instrument.